Jun 26, 2015 Omega XL has thousands of testimonials for the quality of our customer service. We’re sorry to learn that your experience with our staff was not a good one. We would like to address your concerns, but we are unable to do so because you have chosen to remain anonymous. We urge you to contact the service professionals in our Customer Advocacy Group at 1-800-807-0419 or email us at cagsupport@greathealthworks.com. 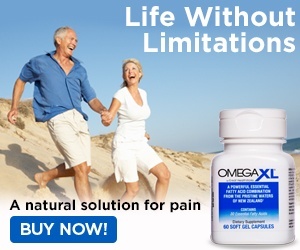 I was satisfied with the results that I have received from omega xl. I am complaining about the customer service I received. I waited for about twenty minutes before the company rep. answered. I called on three different occasions to have my order changed from every other month to every month. I wanted to know why was there a delay in making the necessary changes, I was so angry with the sales rep.
she argued with about my credit card I have always had money in my account to pay for whatever I order. I will find another website to place my order in the future. Review #628026 is a subjective opinion of User628026. Just tried to call their "Customer Advocacy Group at 1-800-807-0419" and got hung up on the first time and a fax/modem sound the second time. MUST BE A SCAM!! !